Many adults would like to straighten their teeth, but the idea of wearing noticeable metal braces simply doesn’t work for them. Thankfully, Invisalign can offer a more aesthetically focused treatment option. 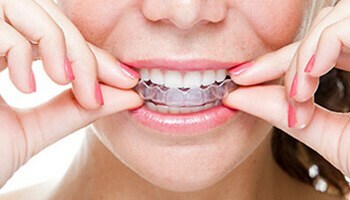 Rather than brackets and wires, Invisalign utilizes a series of clear plastic aligners to gradually straighten the teeth. This technology is continuing to develop and improve, making it a viable treatment option for the majority of both adults and adolescents. For Invisalign, you will be given a series of aligner trays. These will fit onto your teeth using tooth-colored attachments (buttons) that are glued directly onto your teeth. Each aligner will be shaped slightly different to make small adjustments to the position of your teeth. 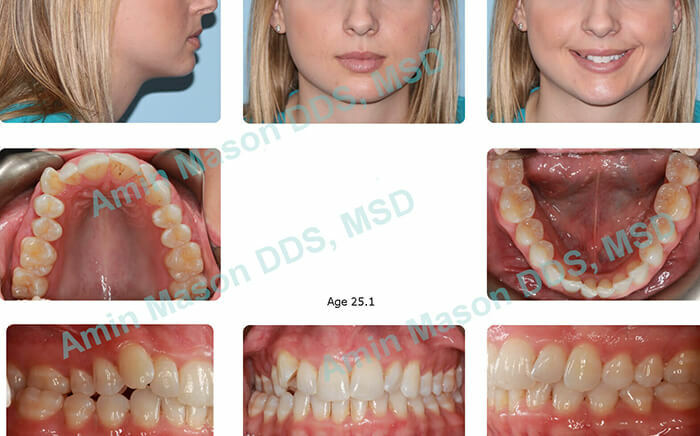 The entire process will be mapped out by Dr. Mason beforehand. After wearing one set of aligners (for your top and bottom teeth) for about one to two weeks, you will then progress onto the next one. After you have worn the entire series, your treatment will be complete. Adult female, front and back crossbite, crowded arches, and worn dentition. Adult female, unilateral posterior crossbite, crowded upper arch, and class II molar relation on the right with a narrow smile on the right side. 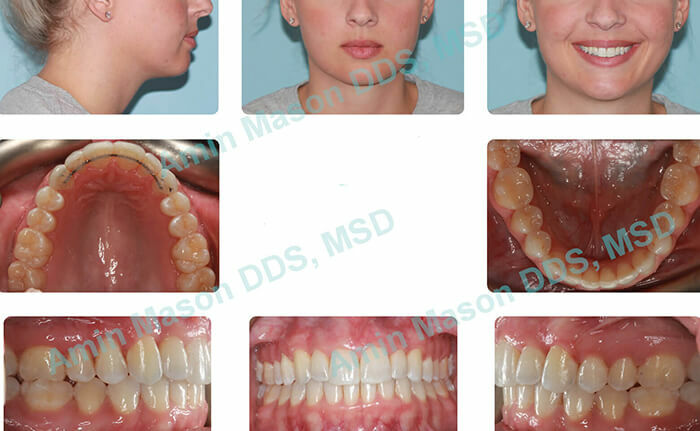 Treatment: Patient was treated with an expander followed by Invisalign. The success of an Invisalign treatment will be determined by a clinician’s training and the patient’s compliance with their prescribed treatment plan. 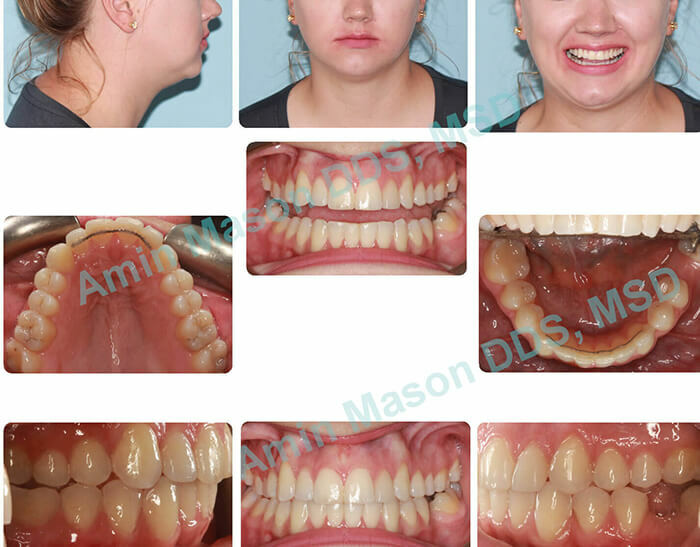 Dr. Amin Mason has actually completed a university orthodontic residency which enables him to treat both simple and complex orthodontic issues with Invisalign. In fact, he is actually an Invisalign Premier Provider and has helped hundreds of patients revitalize their smile with this treatment. In 2016, he was a semi-finalist in the North American Invisalign Summit. This summit seeks to recognize orthodontists from all across the country who have achieved successful clinical outcomes using Invisalign. 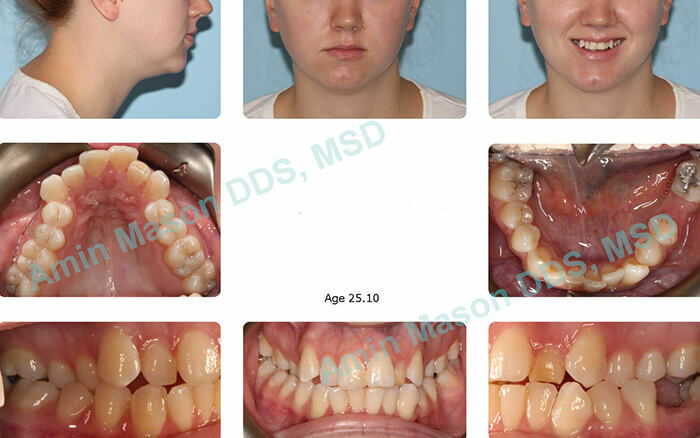 Hundreds of cases are submitted to the summit each year, and out of them, two of Dr. Mason’s patients were chosen by fellow orthodontists to be featured as semi-finalists. Invisalign is removable, meaning a patient will be able to brush their teeth like normal during treatment, making it easier to maintain their oral health. Invisalign’s smooth plastic aligners are much more comfortable than braces. Invisalign patients never have to worry about common orthodontic emergencies such as broken brackets or poking wires. Unlike with braces, people with Invisalign do not have to avoid certain foods. Invisalign requires a patient to have fewer progress visits during treatment. Invisalign is much less noticeable on the teeth, making them perfect for social events such as dances, weddings, and graduations. In order to work properly, a patient must wear their Invisalign aligners for at least 22 hours a day. The aligners must be taken out before eating or drinking anything except water. If you would like to see if Invisalign would be right for your smile, please contact our office today for a consultation.